I haven’t blogged on this page for a while but hopefully this one is worth waiting for! 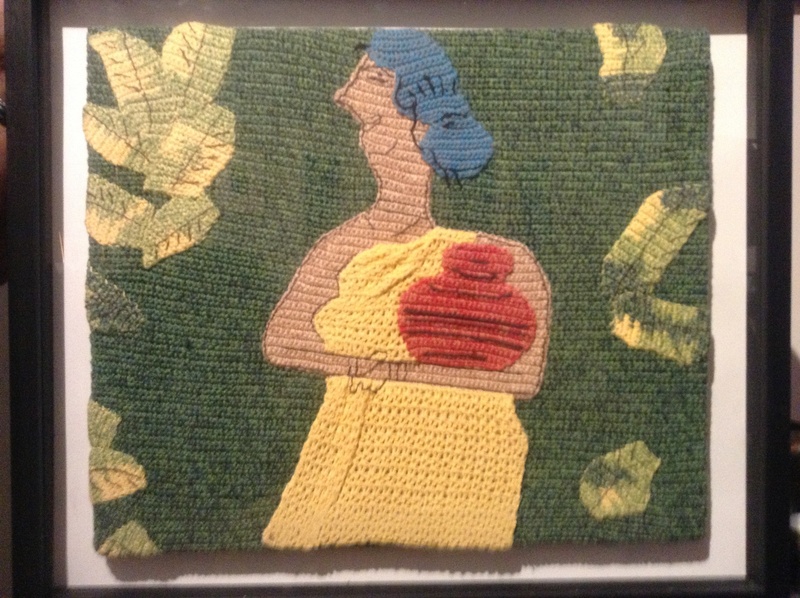 Pebble was asked to be part of a lovely Eid fair of Art and Design at the Bengal Art Lounge and as part of that I’ve made a crochet painting inspired by Quamrul Hassan. It was really fun to do particularly mixing the threads as you might mix colours on a palette to create new colours and shades. I love the way it’s 2D and yet when you’re up close to it, it has a lovely 3D quality as well with folds in the fabric of the dress. Definitely a medium I want to explore more. Last week was great with the knitted rickshaw, but to be honest it was rather ambitious and I did this week feel that I’d missed the learning process and apprenticeship into knitting grafitti. So this week we’ve gone back to basics and started where it seems most yarnstormers start and that’s with decorating trees. At 6am in the morning it was relatively quiet. Just a few taligari delivering bananas to the market, the last of the kamikazi trucks speeding off, and the start of a few people going to work on a non-working day. But immediately we had some onlookers, a street boy who lives around the bridge and some walkers on their early morning exercise around the lake. Have you guessed where it is yet? Well it takes a while. It’s a big thing. Lots of surface area and lots of very tricky bits. I could never have done it without the fantastic help of my two assistants Nasima and Taslima. We’ve been working together for more than 5 years and over that time they’ve come to understand that when I come up with an idea that initially sounds quite bizarre, it will all turn out fine in the end. The final knitted rickshaw wasn’t just fine, it was great! It brought so many smiles to people’s faces around Dhaka. 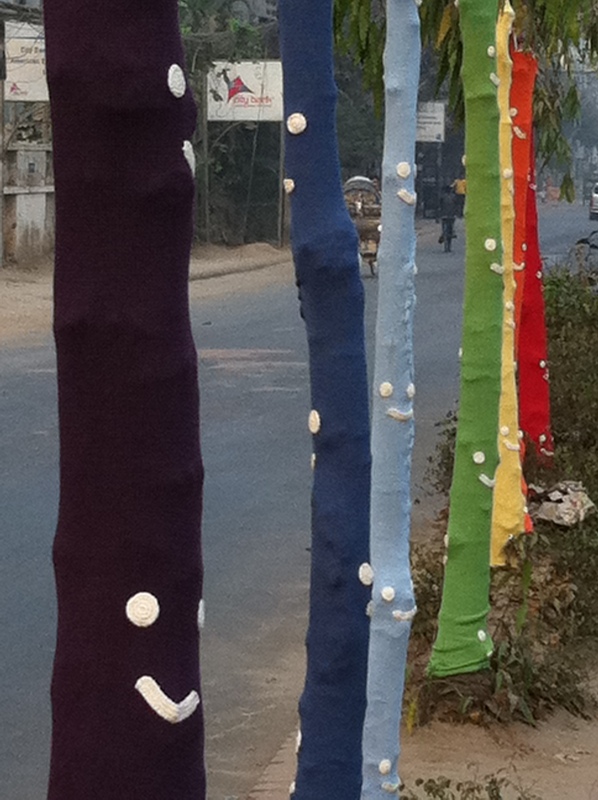 It was time to make Dhaka a little more woolly, a little less concrete. Here’s the first yarnstorm from pebbleknitsdhaka. He’s had great fun and lots of attention riding it around Gulshan all afternoon. 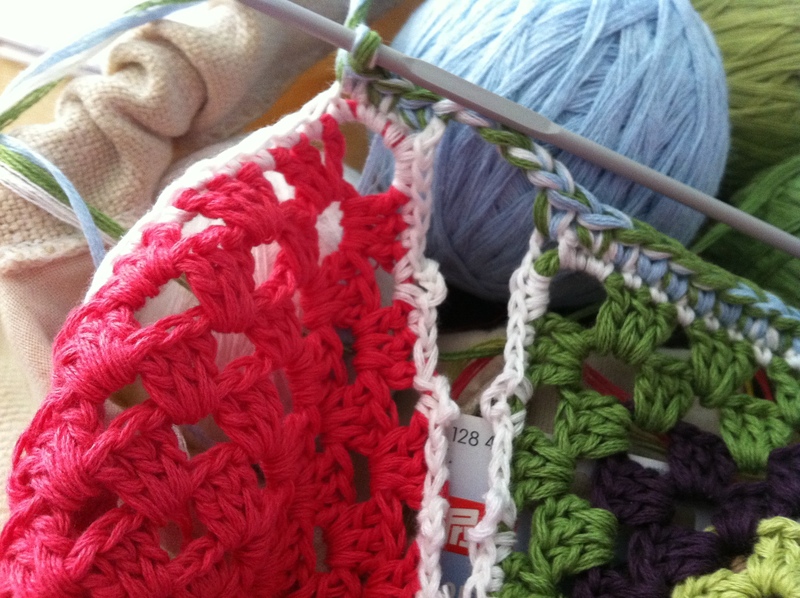 It may come to the streets again – just keep watching…..
After 2 weeks of knitting for me and my two wonderful assistants, Nasima and Taslima, it’s now countdown. 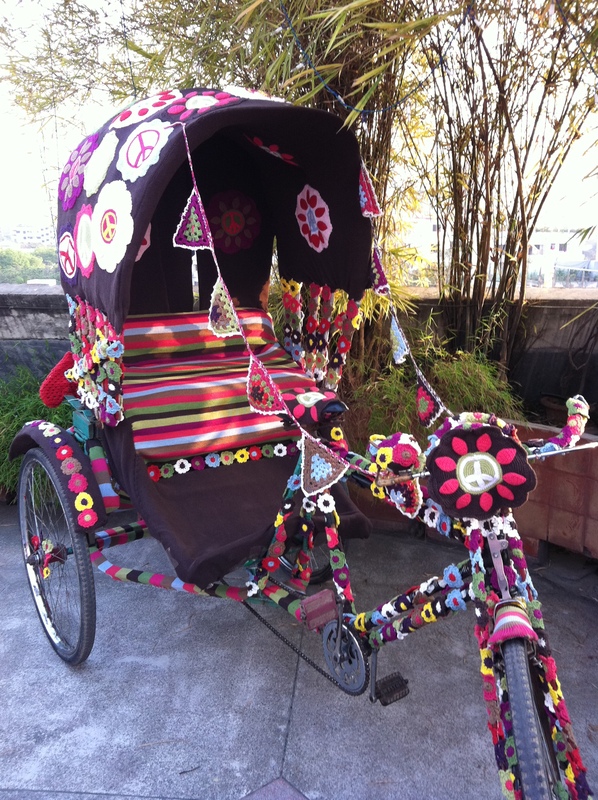 The knitted rickshaw is about to be launched…..